Kasp was launched in January 2006 and has made a real impact on the security market. 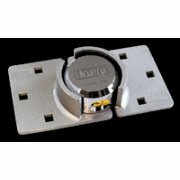 It brings tough, innovative designs to meet the most demanding security needs. 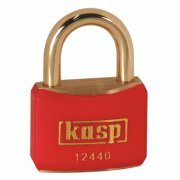 Kasp was launched when the padlock market had been stagnant for a few years and has developed into a recognized, trusted security brand name. 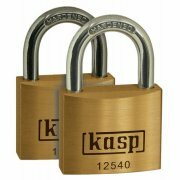 Kasp has won various awards for its padlocks. 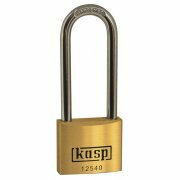 Kasp was created by Carl Kammering International Ltd and its products now get sold in over 15 countries around the world. 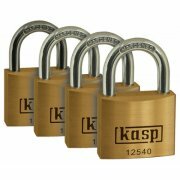 Kasp provide many different padlocks such as combination padlocks, disc padlocks, shutter locks, high security padlocks, harsh environment padlocks, and more. 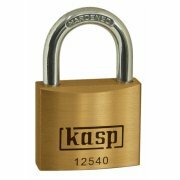 Whatever padlock you may be looking for be sure to find one of the Kasp padlocks that are suitable for the job. They also do hasps and staples and security chains. We have a large range available.